Drawing Fire: How transparency in User Centred Design brings out the worst in our users. There are certain roles in digital user-experience design that are coveted. Coveted for the opportunity they present to have your work seen and interacted with by a huge number of people, coveted because they represent Britain at its best, most accessible and world leading. Jobs like the Government Digital Service and the British Broadcasting Corporation. 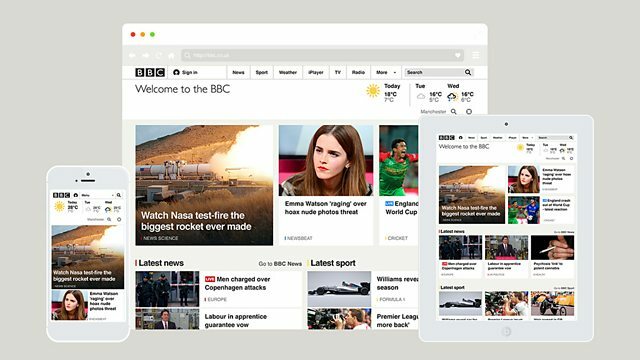 The new BBC.co.uk homepage across three screen sizes. Imagine then, having spent weeks and months developing user-centred solutions, using all the best thinking you can bear to the project. Deploying some of the brightest UX, Information Architecture and interaction design minds, commissioning (extensive) user testing and getting the buy-in and agreement of savvy and critical stakeholders. Imagine the end result being pushed to the expected audience and, in the spirit of transparency, sharing that journey online. So another blog by another name showing all the hard work that has gone on the background, trying to justify the latest reason for the ‘responsive’ redesign. Just like the news app, just like the news page, you may have spent weeks shuffling you coloured bits of paper round on the wall and getting each other so excited that the toilets have never seen such use before, but the fact remains, you work has been pointless. The home page is crap, the news site is still crap and the news app still remains so crap, that those of us who still have access to version 2 now refuse to update. Granted there is just a group of detractors and critics who are so full of hatred for a ‘biased’ BBC that one will never convince them, but even so, does this not make your heart sink? Sink at the ignorance, the stupidity at a group of people that cannot see how a truly incredible digital public service is designed entirely around the users. The undermining of the craft of the people that work on sites like this is deplorable. Patronisingly assuming that it’s just a self-congratulatory exercise involving coloured paper makes my blood boil. 32 in-depth qualitative sessions and collecting quantitative feedback from around 400 people through surveys. Those recruited to provide feedback covered a wide range of demographics, had varied interests around areas such as news, sport, entertainment, lifestyle and learning.. Furthermore, the testing included a BETA site (opt-in) and multivariant testing of the implementations for the homepage. To give the team credit one really has to acknowledge that this was not a design done in a sealed room and foisted on a gullible public. But they can’t even win there, other commenters assert that 400 users aren’t sufficient as the BBC has 8 million users – not understanding how representative sampling works at all. Design a site for each one of those 8 million users? How does that work then? Sigh. Perhaps I shouldn’t have looked at the comments, perhaps the UX team doesn’t either, nothing good ever comes from comment threads after all but my goodness me, as a way to demotivate this afternoon’s reading takes some beating. Of course, if your head is as far above the parapet as it is at the BBC this kind of attack is inevitable. In our industry, we do have to stay strong and continue to work with confidence that we’re going about user-centred design in the right way. I take comfort from the fact that as practitioners we have raised the bar and are getting some many things right now that it takes a bit of pedantry and comment flaming to stir us and increase our resolve to ensure each implementation gets better and better for those that care about what we do. Back in January I posted an assertion that customer service isn’t hard to do. Sometimes I leave people wondering why I get paid a nice salary to pontificate on this stuff as it’s all pretty easy and largely the articulation of common sense. It’s the same argument I used to hear when telling people about the ‘obvious’ results of academic psychology studies. It’s easy to start believing this stuff and even though certain designs and designers are lauded for their pursuit of the obvious, others are called out as snake oil salesmen. Krug‘s done a nice line in books that make it plain how simple this all is. This week, however I read two important posts. The first being from Harry Brignull, Senior UX at Brighton’s Clearleft. In his posts (slides and notes) he explores the mistakes he and the team made on the way to delivering the successful app experience for The Week. It rang true to read of his frustrations as blindingly obvious interface and navigation elements were wilfully ignored by apparently stupid users. How I nodded along recalling my recent experience with Treejack when my simple and straightforward site architecture for a major British institution was exposed as confusing and muddling one to users in a 500-person remote test. The second post, far more important and sobering, was the analysis of the last moments of Air France flight 447 (Popular Mechanics and Telegraph articles). With the recover of the various voice & data recorders a clearer picture of what happened on the flight deck emerged but, crucially, why the pilots behaved the way they did in the face of apparently obvious warnings and information has proved both incredibly complex and rather contentious. This is where cognitive psychologists, engineers and really incredibly talented people are earning their crust. Analysing, exploring, experimenting and evaluating the hugely complex elements at work when we interact with systems. Our irrationality and unpredictability are being explored in light hearted ways as we persuasionists are asked to design new campaigns and digital experiences but when these forces work against us in catastrophic ways it causes us to pause and remember our colleagues and peers’ role in solving these riddles. I might not be designing an error-proofed flight deck any time soon but I think it’s about time I stopped underselling our value quite so much. The work we do is complicated and rewarding, whether it’s saving lives, producing a digital magazine or shifting some more products. One of the final persuaders for me to transition from psychology to HCI was James Reason’s book Human Error and my course under Dr. Phillip Quinlan at York where we explored a variety of complex scenarios leading to catastrophic human error. Understanding the part designers had to play in helping us protect us from ourselves was a strong motivator. The book still sits on my shelf and I would heartily recommend it to anyone in this business. News reaches us today that Draw Something, a game I’m not ashamed to say I recently played A LOT, is suffering a sharp decline in usage. Unlike Angry Birds or similar meteorically successful mobile games, Draw Something exploded very quickly, peaking in April and has boomeranged – at least for frequent users – in recent weeks. One of my biggest bugbears with mobile app developers is their lazy attitude to making their apps work without a connection. Designing and testing an app in a production house with a gigabyte network is great but it’s not the real world. Draw Something is a time-killer app that’s perfect for the train, the tube/metro, planes and so-on – i.e. all the places you can’t get a reliable connection. That Draw Something insists on a connection is an Achilles heel. It wouldn’t be hard to design an offline process where you could complete your drawings and the data is cached to send next time a connection is obtained. The game used an American-centric dictionary and American-centric references. Obscure pop artists, minor celebrities and TV shows would regularly appear in the word list and lead to frustration as you’d have no idea who these people or items were – and could be pretty sure your friend wouldn’t know either. Cue using up valuable bombs to get new words. How hard would it be to localise the word database? Even when you did know the word the spelling might be the Yank version … again, easily fixed. Roz points out that each game actually takes quite a bit of time. From the viewing of the other player’s guess (even if you skip it) to then watching the other player’s drawing. As an aside, even though there’s fun in seeing the construction of an image, especially when done by an artistically gifted friend, I still want to skip to the end and see the final image in most cases. If you could just do your guesses and and leave the drawing bit until you have more time, that might make it feel a bit more manageable. There’s no ‘I’ll just have a quick go’ process built in to the sequence. All of those elements add up and As Ben Griffin says, the app was initially easy to manage as you had two or three friends playing. Once it became successful you could find yourself inundated with drawing requests. Compounded by the time it takes to play each game this meant that you are having to administer an ever-growing and impatient list of friends wanting to play. It’s a nagging list that feels like an unmanageable inbox which you, albeit in a mild way, resent and duly avoid. Whilst I’m confident that Zynga and the team behind it will continue to develop the app and ensure its long-term success (releasing commenting features shows it understands how people use the app – replacing artists writing messages to each other in the first frame), the undeniable failings I describe above do give us pause to reflect what makes a truly engaging mobile game experience that, importantly, can scale with popularity. 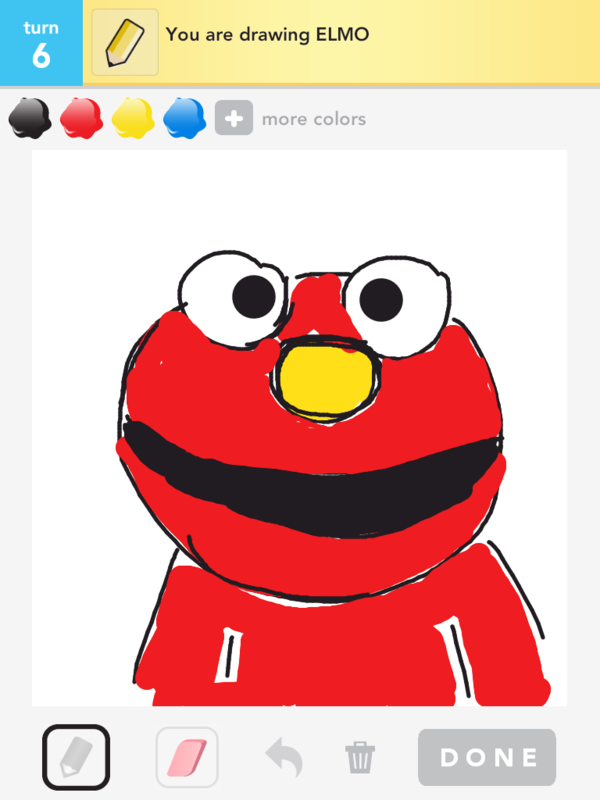 In the meantime, take a look at this collection of the most-talked about Draw Something efforts. This week I had the pleasure of presenting to our Planning department at Dare and, whilst it’s not a new topic to many readers of this blog, it’s certainly rather popular – in fact, one could say this tool is sine qua non to the kit-bag of any Experience or Strategic planner in the advertising industry. And so it came to pass that I spent 45 minutes talking about seduction. Firstly I’d like to express my thanks to Stephen P. Anderson without whom much of this presentation would not have existed. It was inspired and informed by his excellent book Seductive Interaction Design which is currently trading at an excellent price on Amazon in paperback & Kindle editions. From the utilitarian beauty of Google and Craigslist, to the the viscocity of the Apple iOS and taking in examples such as the role of female faces in encouraging ‘LiveChat’ encounters, I hope my audience could see the value in paying attention to what our experiences look like and what this says about our brands and the memories users take with them. The ‘Stop Looking at my bottom‘ line on Innocent smoothies was a good example of being playful in seducing people, I’m sure there are plenty of quirky examples of this sort of stuff digitally. Sadly many of these are Error 404 pages that – if we’re good our jobs – our users shouldn’t see very often. After writing the presentation I came across this great example of copy on an Ocado email which represents a playful tease. Then there’s more obvious playful activities like the randomising functions you find on Wikipedia, Google’s Lucky button and so-on. Though few will ever beat Ben Fold’s Ode to Merton chat roulette. I always like the anecdote that Apple had to make their random function on the iPod less random in order for it to feel more random. “As humans, when we come across random clusters we naturally superimpose a pattern. We instinctively project an order on the chaos. It’s part of our psychological make-up. For example, when the iPod first came out and people started to use the shuffle feature, which plays songs in a random order, many people complained that it didn’t work. They said that too often songs from the same album, or the same artist, came up one after another. Yet that’s what randomness does – it creates counter-intuitively dense clusters. Then it was nice chance to show how figuring out and being stimulated by patterns can create compelling interfaces – which clearly meant reminding people of my award-winning work with Stefanie Posavec on myFry. I talk a lot about intentional friction when reminding people that user-centred design isn’t always about simplicity. After all, we all love a good poka-yoke, and so a bit of mystery like the Hot Wheels mystery car or the don’t open reward envelope is another example of intentionally making life (achievably) difficult in order to deepen the sense of engagement. I closed this section by talking about how Cityville and Good Reads are great examples of interactions that allow users to play and be themselves, expressing themselves and their creativity. Cityville is a much bigger topic in terms of (eugh I hate this term) gamification which I didn’t have time to go into. As Stephen points out, it’s all well and good talking about CityVille and Innocent and seeing how fun brands can apply such approaches but what about when you’re dealing with a major financial services provider? It’s important to demonstrate that you don’t need to change the copy throughout your site or develop a game but rather just look at the little moments that make a difference in terms of perception and play to our existing biases. The classic Leventhal, Singer & Jones (1965) study at Yale led me in to showing two coffee loyalty cards for Cafe Gibbo. Both needed 10 stamps to achieve a free cup but one had the first two (of 12) stamped whilst the other was simply 10 blank circles. I asked the group to think about the behaviour that might result if the former card was stamped in front of you by a staff member who looked like they were doing you a favour whether that sense of reciprocity would be a sufficient nudge to you continuing to use that card. Perhaps it would. Pointing out that our decisions are not always economically perfect (both cards had the same economic effort to complete them) was important in establishing our irrationality. Which would you be more likely to complete? Of course this kind of stuff is nothing new to people in the hospitality industry; salting (or seeding) the tip jar, applying choice architecture to restaurant menus, this kind of thing shows the history of the real world application of persuasive techniques. techniques we consumers readily accept as fair game. In restaurants it might even be as minor as putting a glass seeded with an empty monkey nut shell next to the dish of unopened kernels to suggest where to put one’s waste. On the web we see the value of order bias in the fact that Google and SEO companies makes a living from people clicking the first thing they see on the search results page and that having something visually promoted has a powerful effect. 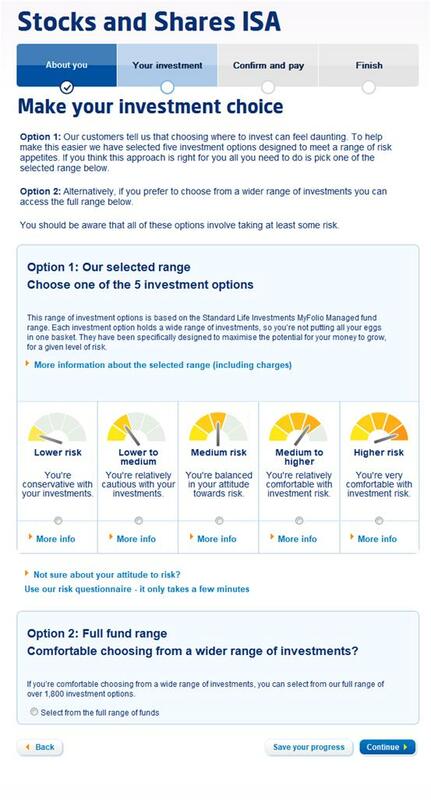 Here I showed our own bit of choice architecture where we reduced the overwhelming choice offered by Standard Life’s Investment ISA to present 5 ‘bundled’ simple choice offers on the application form. Option one is to take one of these pre-packaged solutions, Option two [the ‘experts’ choice] was to select from a supermarket of funds. Not only did we hierarchically structure the page to promote the path of least resistance, but we used strong visuals and human-centred introspective copy: “Comfortable choosing from a wider range?”. Even something as simple as Facebook showing you the friends you will lose touch with when you deactivate your account is a clear example of using loss aversion (our tendency to disproportionally value things we have above those we do not) reciprocity (your friends have shared their information with you..) and social proofs (everyone else is here) to – in their case – significantly reduce the number of deactivations per year. A few words about the power of emotionally intelligent signage and hopefully the point was made, this doesn’t need to be massive. I couldn’t resist pointing out the classic HCI logic in the goal-architecture that means you get your card back at the ATM before your cash so that you don’t walk off with money and forget your card if the sequence was the other way around. A simple sequence decision. To close my 45 minutes I wanted to touch on how making people do something different for a second, a few minutes even, can be incredibly powerful but that long-lasting behavioural change is incredibly difficult and complex. Perspective and influence over time from the herd and an array of variables means that designing such solutions is fraught with challenges. Though I didn’t mention it at the time I have talked before about my relationship with my energy supplier. Having used an energy monitor and post-usage data I was able to reduce the amount of gas and electricity I used at home, but after a while I realised I wasn’t getting any better. I’d reached a plateau in savings, all my devices were low energy or used at their most efficient settings and so-on. I lost interest and stopped looking at the monitor or my reports. My usage crept back up. The classic YoYo seen in dieters and addictive behaviour like smoking. It’s not enough to take these examples above and apply them to solutions as varied as increasing up-sell on insurance products, shifting metallic paint on new car configurations, moving people to a different mobile tariff, quitting smoking or eating more fruit and veg. Each instance requires a deep understanding of the specific problem, it’s motivators and triggers. Design with Intent – Dan Lockton’s toolkit for thinking about influencing behaviour. In the coming months I hope to be able to share with you some of the excellent work my team (Aarti Dhodia and Tom Harle) have been producing to bring behavioural influence to an exciting service to be launched by one of Dare’s clients. Until then, I hope you find inspiration and enjoyment in the examples here. I like the idea of representing data sets in new ways. Particularly data sets where the relationships between entities are valuable. Because of this, and indeed the way it’s been rendered, I rather like Planetary by Bloom. However, in this rather fawning piece by John Pavlus on Fast Company, it’s astronomy-inspired interface is described variously as ‘intuitive’, ‘divinely ordered’ and with ‘human-friendly affordances’. 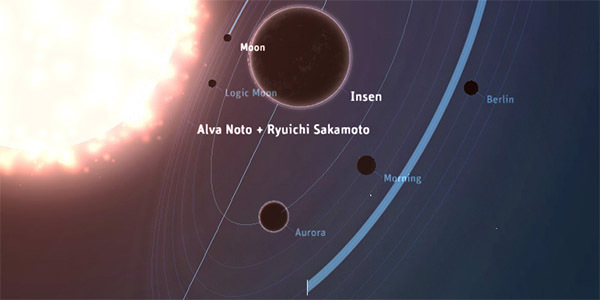 Forgive me, but didn’t it take humankind a rather long time to understand the causal relationships in the solar system to be understood? I wouldn’t necessarily say that we users would instinctively ‘get’ the metaphors used in Bloom’s work although we would appreciate them once shown. I think it takes some leap to suggest that there is more intuitive understanding of music data in seeing it in this new format than there would be in, say, a hierarchical list of artists, albums and tracks. …the grey squirrel of user experience design is gnawing the legs off the red squirrel of information architecture. The focus is now squarely on the presentational and interaction elements of UX, and service design projects that start with beautiful, but largely imaginary page mockups. In a great metropolitan company right now, a senior executive is being seduced by a Photoshop comp that may or may not be buildable. A smashing quote from Mike Atherton which I found in his notes on one of my favourite Slideshare presentations. 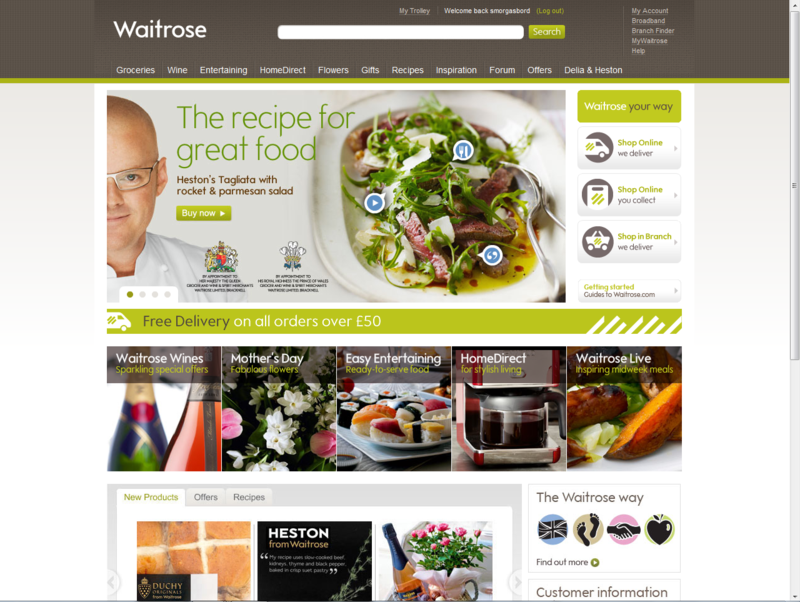 This week eConsultancy’s report on the apparent usability calamity of the new Waitrose site has been widely shared: “New Waitrose website panned by users“. People queued up to take pot shots at this aspirational brand, criticising a range of issues from taxonomy, speed and the apparent non-disclosure of prices. Several cried-out “why wasn’t this tested?” “didn’t listen to users” and so-on and so forth. Compounding the issue was the revelation that the design ‘cost £10 million’. An unmitigated disaster eh? Well no, not in my opinion. Firstly I think that the £10m issue is swaying a lot of bad publicity. The general public, and this is not to patronise, simply do not understand the price of design (c.f. Olympics 2012 logo). I don’t understand the price of building a new bridge, or anti-retroviral drugs and I don’t presume to tell the people in those industries that the cost of such things is too much. For some reason, the great British public assume that design work is just a 17 year old with photoshop tinkering about. It completely misses the point that work like this involves high levels of expertise in visual design, logistics, accountancy, information systems, security, project management and so-on. It’s massive, it’s expensive stuff. You might re-design a local dentist’s website for £1000 but really this isn’t even vaguely comparable. Secondly, it does actually work. To claim it’s “not fit for purpose … beyond fixing” is bonkers. Show me the evidence that no-one is shopping on the site, that the usage is down that average basket sizes are down etc. etc. I suspect you would find the opposite [EDIT 25.March: Orders are in-fact up by 34% on the previous site, according to The Guardian]. Yes, there are problems. Some of the nomenclature and taxonomy is a little unconventional. Sally pointed out that browsing freezer products was done by brand and not by type, that seems peculiarly specific. Most users would at least like a choice to filter by meal, by category (fish, poultry, ready-meal, dessert) and so on. Other glaring errors include the (now fixed) inability to identify sizes or quantities of items like milk and meat. And then there’s the speed. The speed it’s rendering is not great. I’m no developer so can only speculate that it could be either an interface layer issue or one related to pulling items out of the eCommerce catalogue (the back-end). To the consumer this distinction is irrelevant, it just takes time and time-precious consumers get understandably narky. Fixing the speed is critical to the perception of performance. It infuriates me to suggest that this wasn’t thought about or tested. In our industry with so much money at stake it is inconceivable to think it wasn’t tested in some way at several points throughout the process. It was designed in part by some very talented user-centred people and the fact that certain elements have been included (drop-down category breadcrumbs) suggest a user-experience designer’s hand. The key is whether the user-testing was sufficiently rigorous, sufficiently real-world and sufficiently analysed to feed back into the design process. Interactions which are causing the most concern include long-lists – the heavy duty users at home doing > £100 shops with many items. In these scenarios they are likely to be juggling multiple threads of activity: searching for goods, ticking them off a paper list, popping to and from the kitchen, considering recipes and so on. Keeping as much of the action (‘add to basket’) transparent at the same time as the browse activity is a tricky ask. Often user-testing is done in a lab with a user isolated from the context in which they normally perform their activity. It’s not a real shop, it’s a simulated list and the observations you will make will subsequently be quite false. Work like this is so dependant on context that it needs to be stress-tested in real-world situations. It means sample shoppers using a staging-version of the site or a high-fidelity prototype to do their normal shopping routine. It might have happened here, I speculate that it probably didn’t. I rememeber Catriona Campbell of Foviance telling me once of some ethnography work done for Tesco where they observed online shoppers ordering in bulk from their value range. Actually observing the users in their homes showed that these were consolidated orders for their community where one person acted as a distributor from a single paid-for delivery. Insight like this rarely comes from a two-way mirror, eyetracking and a moderator. 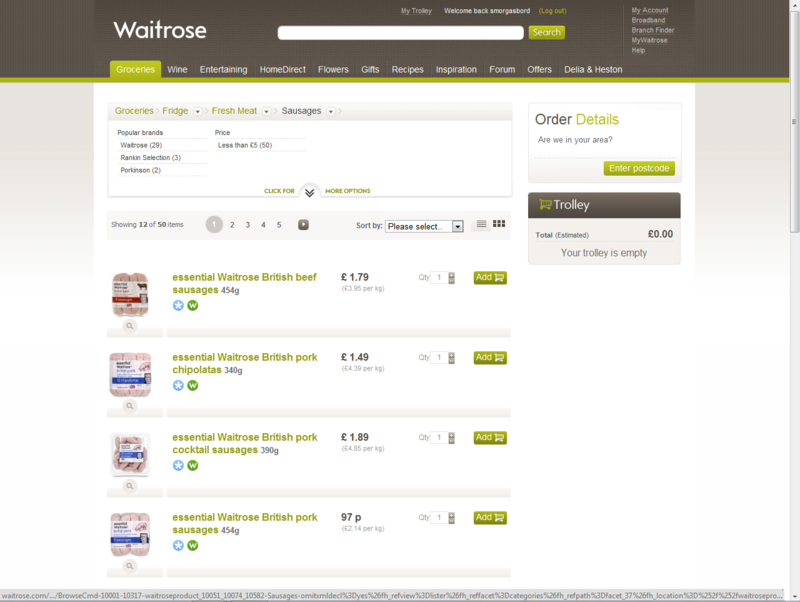 Returning to the Waitrose site, i’d urge you not to get caught in the hype but to actually use the site. The majority of problems cited on the forum seem to be resolvable coding/performance issues, not fundamental interface design issues. By which I mean buttons not working as intended, technical errors and so-on. The remaining issues surround a nostalgia for old site features like the jotter. I’ve seen this sort of thing before when a quirky feature barely anyone used gets removed the one or two people who did use it take to the web to complain. I’m not saying it’s brilliant, it clearly needs work but I just personally feel the need to call for some calm and reflection in light of the fact that passionately user-centred people would have been involved in this and working with the very best of intentions albeit perhaps without the backup to see it through to final development or the support of adequate contextual user-tests. I decided to have a bit of a break from Twitter (and Facebook) and to revert to the long-copy pleasures of full-fat blogs. To this end I have downloaded Reeder for my iPhone, fired-up my Instapaper archives and am eschewing the free papers on the commute home with the intention to read more about the things I used to read about. A corollary to this will hopefully be a refreshed attention to my own blog and to the joy of writing again. Though I’ve read too many blogs in the past that have a post that reads: “Am blogging again, hope to blog more, watch this space!” … and that’s the last or penultimate dusty entry. So, no promises, none at all. Before I dismiss the microblog for the aforementioned hiatus I did just want to highlight a link I found via Anne Czerniak’s stream: David Friedman’s Twitter Thesaurus. The function of David’s thesaurus is to provide alternative, succinct variants of the words you would write if you didn’t have a 140 character limit. It seems like just the sort of thing that verbose writers like myself would like to see added as a contextual add-in to desktop and mobile twitter clients, a bit like bit.ly does for url shortening. My ‘new’ job title is Experience Lead. This is in part due to Dare‘s merger with MCBD and the fact that not only do I now have sight of digital work, I have an occasional role to play in designing and consulting in offline experiences and service design. Whilst we have an adorable presentation deck that covers-off what Experience Planning is (in the context of Dare), much like my This is IA tumblr, I find it helpful to describe what we do with examples of what it is to design experiences (and not just websites). A nerve centre with wait-time monitoring in real-time. The ability to ramp up ride throughput by, for example, deploying more boats on the Pirates of the Caribbean ride. The authority to re-deploy their character talent to the queues so that Goofy can take kids’ minds off the interminable wait. Induce significant crowd shifts by initiating a pop-up parade: “Move it! Shake It! Shift It!” which nudges people to the less populated area. Attention to operational detail to open more kiosks or cash registers, hand out menus and so-on. Such interventions pervade in a culture of exceptional customer experience. Leaving room for staff to innovate and react in this way ensures that, collectively, the impression and memories users are left with are both positive and lasting. And memories are what all decent experience designers are after. I got asked recently to write a piece on what might be considered a good opportunity for marketeers tired of the existing promotion calendar. I took an opportunity to assert that I think the marketing communications industry has for too long focussed on the acquisition part of the courtship of consumers. I think we have a great opportunity to work harder to continue to persuade throughout the life cycle – to promote retention with some ‘wow experiences. Working with tools like memory, serendipity, ephemera, transience and humanised language and interaction. All of which are just fancy words which are my attempts to intellectualise the stuff that Disney (v. supra) do so intuitively. Perhaps I haven’t wrapped this post up quite the way I would normally like to, but these, dear reader, are my thoughts in flux about how I currently think about Experience Planning and the directions which interest me. Footnote: This post was composed a few weeks ago during a spell when I wasn’t on Facebook or posting regularly on Twitter. I have returned to both sites since then but am significantly less active. I hope.